In a small meeting of Chinese Back to Jerusalem missionaries last night, I was able to listen to the challenges, victories, and hardships of working inside of North Korea for the last year. They also shared about a new North Korean law that has been implemented because of the impact of Chinese Christians in North Korea. Mr. Wong and the team of Chinese with him all had their own stories of how North Korea is suffering. For more than two hours they gave me an update on their work inside. The new law that has been passed down from Pyongyang is that any time a North Korean talks with a Chinese citizen, they must be accompanied by one other person. It is now illegal to talk with Chinese alone. As the meeting for North Korea and America take place next month, there are two things that are clear: First – North Korea is hurting under the new sanctions. They have not had it this bad before. Secondly – the sanctions have the people looking to China for help and the Chinese are sharing Jesus with them. Both of these things are bad news for the North Korean government. In order to keep power, Kim Jong Un has to act fast or his entire nation might turn to the only One who can give hope. 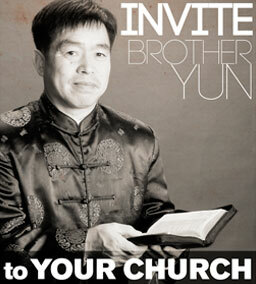 In a follow up report, we will share how Mr. Wong led a family to Christ in North Korea last week.